We recently had a wee family holiday up in Oban and as I love my native Scotland and want you to love it too, I thought I'd share some highlights with you. Who knows, you may wish to plan a trip yourself. We stayed in The Taynuilt Hotel, a traditional coaching inn in Taynuilt just outside of Oban. We arrived late on the Friday night. We knew we were getting close when the road signs started to tell us where we were in Gaelic. I'm sad to say I don't know a word of it, but it's still spoken up north in the Highlands of Scotland. We received a really warm welcome and were taken up tartan clad stairs to a door with a slate sign proclaiming the Loch Sween room. We'll I'd never been to Loch Sween, but I loved the room. Cooper opened the guest book, found a map and started to plan our weekend, before he headed to bed. Our room was clean and fresh with traditional dark wood furniture. There was king size bed for us, a single bed for Cooper, a wooden wardrobe and a built in one behind the door. There were two bedside cabinets and a dresser, so plenty of storage. The bathroom had a shower cubicle, but no bath. We also had a table and two chairs at one of the windows with our welcome pack and refreshments. I was rather impressed with the little touches. 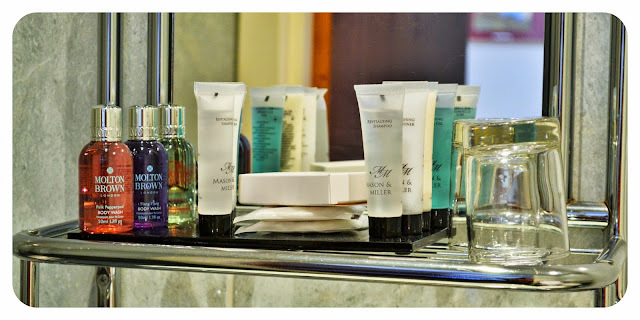 It's the first hotel I've ever stayed in who offered hot chocolate as well as coffee and tea (which I hate) and a nice range of toiletries in the bathroom. After a good night's sleep we headed down for breakfast and were looked after by Lauren, who was happy to stop and chat to us and give us ideas of places we could visit during our stay. This was excellent, as we were as unorganised as usual and turned up with no plans other than having a camera and walking boots. We do tend to wing it when we head off for a weekend break. We are always so busy until the moment we actually drive away from the house. Oh and in case you are wondering Stuart aka Cakeyboi kindly looked after our pooch for the weekend. Cooper put away a fair amount of breakfast. He had cocoa pops (don't get used to that buddy), porridge and toast and was still looking for more. When we went back up to our room he sneaked some shortbread too. That boy can eat for an army in the morning. I had a veggie Scottish breakfast and Graham had a vegan version with vegan black pudding. If anything needs to be veganised I have to say that is it. If you don't know what it is, well maybe that's for the best. He also had some fresh fruit salad. We spent the morning in Oban, which is just beautiful. 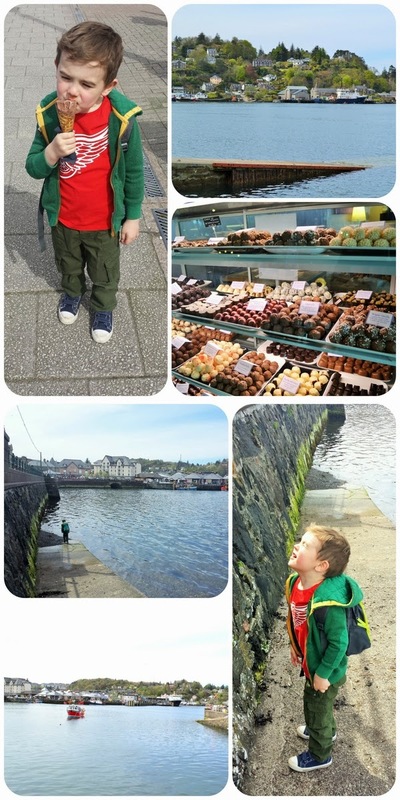 We wandered along the waterfront, visited a chocolate shop, chatted to a friendly couple with a little dog, Cooper put some Jehovah Witnesses straight (yes you can read the whole saga in my Ultimate Vegan Sandwich post), I went a bit crazy in the deli( also in the same post) and we had lunch sitting on the waterfront. 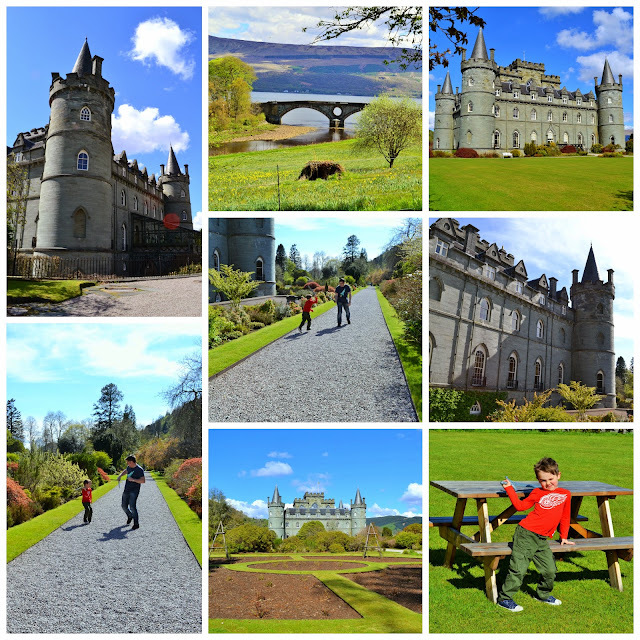 In the afternoon we headed to Inveraray Castle. We were lucky enough to arrive when there was a rally of classic cars. Cooper was in his element. Once he'd finished inspecting them, we explored inside the castle and then had a walk around the grounds. When I say we walked round the grounds, I actually meant to say Graham and Cooper sword fought their way round the grounds with the swords Cooper picked out in the gift shop. I had a sword fight with him to but gave up pretty quickly after my poor hands were bashed a few times. In the evening we headed back to the hotel, read our books for a while, then we freshened up and went down for dinner. Dining in the hotel is quite a relaxed affair with most of the tables in the bar area. Cooper took his notebook with him to do some drawing. We all had tomato and vegetable soup to start, which was served with some fresh crusty bread. I had an heirloom tomato salad topped with slithers of cheese and a side of fries. The salad was good, but I could have done with more dressing. The fries were lovely and crunchy and came in their own mini chip shop frier basket. 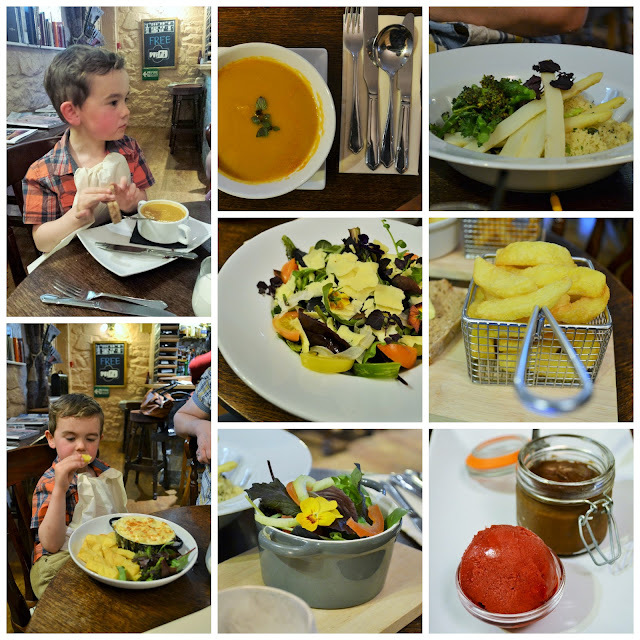 Cooper went for macaroni cheese (surprise, surprise) and Graham had a pistachio couscous salad with broccolini and white asparagus, which he really enjoyed. We were a bit full for dessert, but managed to share some vegan chocolate mousse with sorbet. Oh and here is the masterpiece that Cooper and Graham designed. 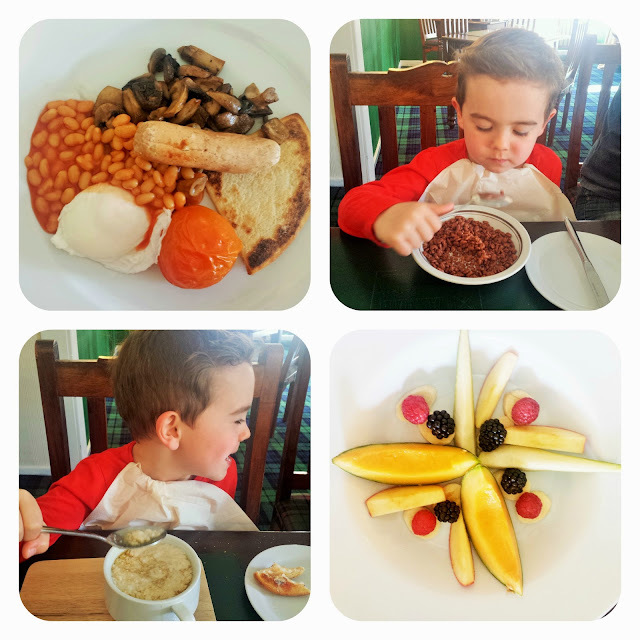 On Sunday we had another hearty breakfast, then checked out. Unfortunately the gorgeous weather was at an end, so our hillwalking plans were cancelled. It was lashing down with rain. 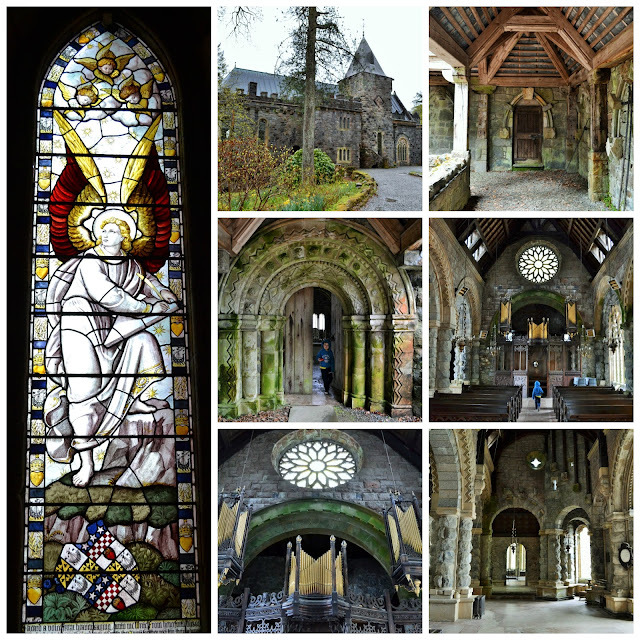 Instead we headed home, but stopped at Saint Conan's Kirk on the way back. The church looks medieval, but is a real mish-mash of styles. It's quite something to behold! The architect Walter Douglas Campbell moved to the area in 1882 with his mother and sister. His mother found the journey to the local parish church too far to travel, so he decided to build his own church and kept adding to it until it was complete in 1930. He seemed to just choose all his favourite styles. There's even some pagan pieces in there. It's well worth stopping for a look. 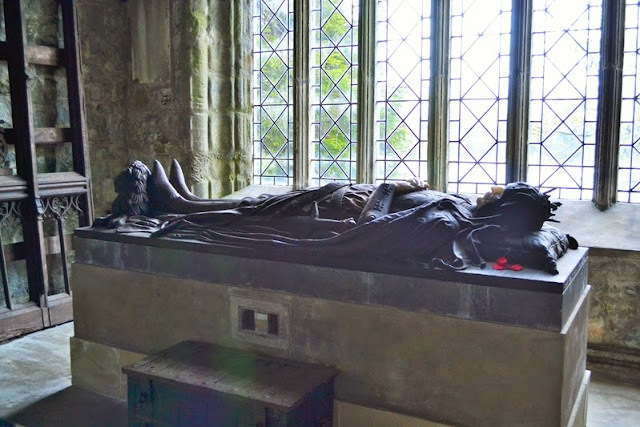 The Robert the Bruce effigy is a bit spooky. The face and hands are done in alabaster and way too realistic looking! Freaked me right out! I can't even look at the photo for too long! I'll leave with a photo of some gorgeous Scottish scenery. We were driving to Inveraray Castle when we had to stop the car. The view was just breathtaking. 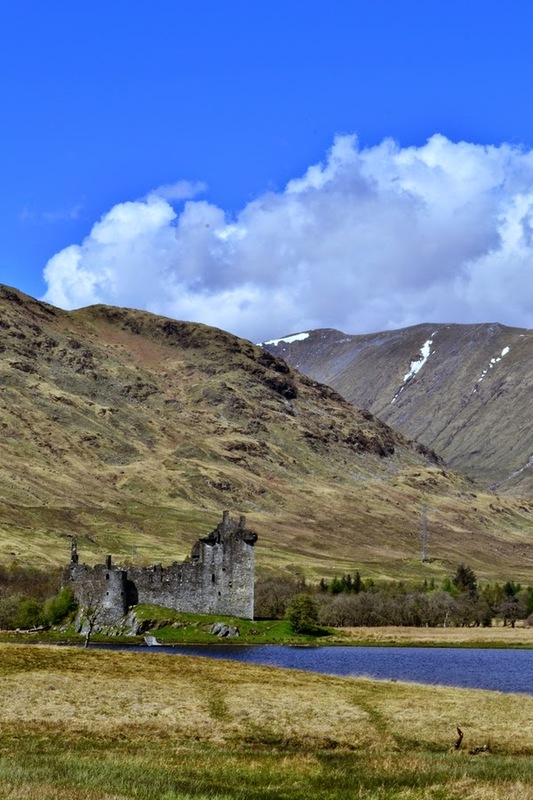 The ruin is Kilchurn Castle on Loch Awe. Pretty spectacular huh? 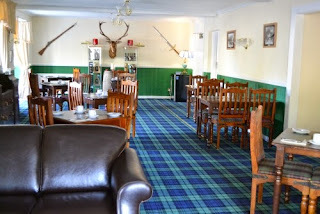 We had a great weekend and will definitely be returning to the Taynuilt Hotel and to the area. There's so much more to see and I'd really like to do some hillwalking next time. 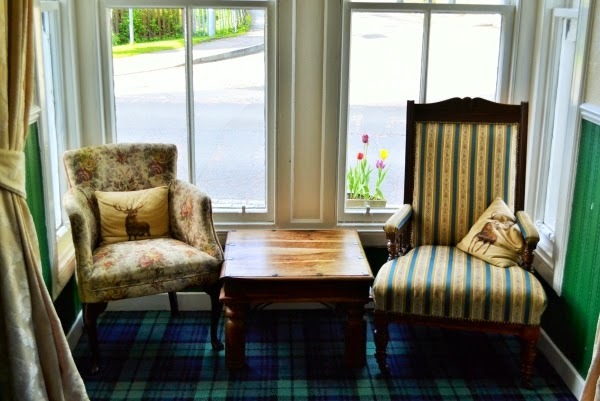 The Taynuilt Hotel is a 3-minute walk from the Taynuilt train station's West Highland Line service from Glasgow, but also has plenty of parking if you decide to drive. Follow the hotel on Facebook, Twitter and Instagram. 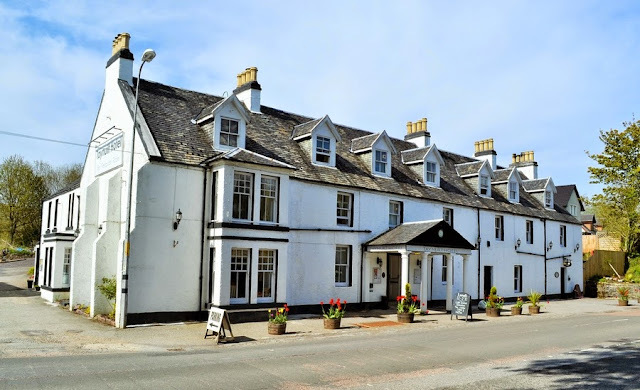 Less than three years after it was acquired by chef John McNulty, the Taynuilt Hotel has been awarded its first AA Rosette for culinary excellence. Disclosure: The Taynuilt Hotel welcomed us for the weekend. They did not ask for a positive review and any opinions expressed are my own. We really did enjoy our stay there and will be visiting the hotel again. It's also a favourite of my friend Adam who took 50 people there the week before on one of his historic architecture tours. They coped admirably and everyone left happy. ps if anyone is thinking of visiting the area. Do get in touch. Adam kindly sent me a list of interesting places to visit in the area with background stories. Some of which you wouldn't usually come across. Awesome! Cooper's grown so much! We'll be seeing you guys in just over a month, and we'll be spending the last week of July in Oban, so anything you can tell us would be awesome. Oh Wow, you certainly sound to all have had a wonderful weekend in Oban & Inverary. Mr E & I passed through Oban & stopped off at Inverary on our way to Isle of Mull, so knowing how beautiful & spectacular it is there I'm feeling a tad envious and thinking we need a return visit soon. You'll have to jump on a ferry and go to Mull if you stay a tad longer next time. We experienced a 'bird & wildlife safari' around Mull by a fantastic guide who provided a scrummy home made vegi packed lunch- I can dig out his contact details if ever you need. Such a shame the weather turned nasty & you had to forego your hill walk. That sounds like a good idea Angela. Sounds like fun and yes it is beautiful up there. I have still never been to Scotland. I know, I know. I really need to. It really isn't that far from Manchester either, so I am going to have to go very soon. All the pictures I see are just beautiful. Looks like you had a great trip, love that photo of the ruined castle, it's stunning. I also had no idea you could get vegan black pudding. I know, the scenery is just amazing, every way you turn. I didn't have a clue about vegan black pudding either. Graham enjoyed it. I love staying in hotels for weekends away. You look like there was a lot of yummy food on the agenda!! There was and yes we love doing that too. While I'd be scared to death about moths, if I had that carpet, I ADORE it. It's so cozy. That whole place looks amazing, and I'm so excited that there are so many other places doing vegan and veggie options! It makes traveling so much more enticing. I'm well impressed with Oban! OK stumped as to the moths? But yes it was cosy. You are going to love Oban when you have your visit. What gorgeous photo. Everything looks beautiful. And vegan black pudding?! Crikey! How lovely Jac and what super photos too! Looks like you were well looked after and had a ball! What a lovely little hotel. I have happy memories of a childhood holiday in Oban (my parents are both from Glasgow) so we usually holidayed on the west coast. It's wonderful to see that it remains charming and unspoilt. It's a great area. Can't believe I've never spent time there before. What a lovely hotel. The menu sounds so adventurous and tempting. I forwarded your Facebook post to my friend who is heading to Taynuilt next week. She already has accommodation but was impressed and may book in there for dinner one night. 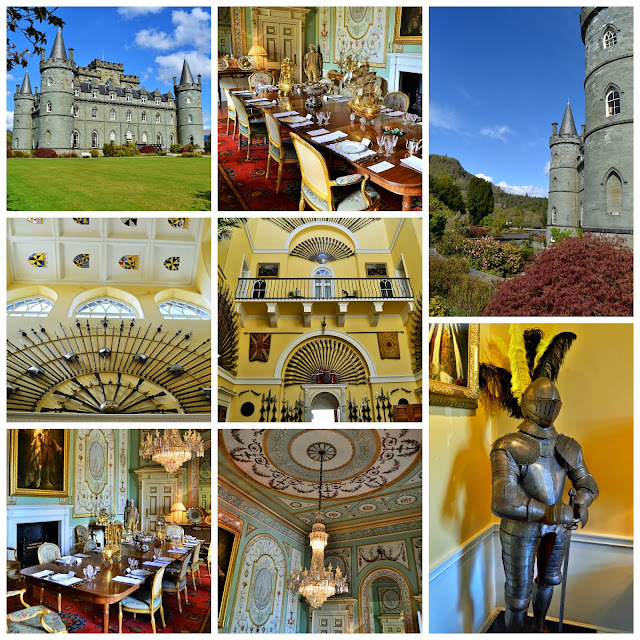 She is also thinking of visiting Inverary Castle, so it was perfect timing and a great review. looks like a gorgeous weekend! Very intrigued by the idea of a vegan black pudding... and the mac and cheese looks amazing!